A few months ago during Salesforce’s annual analyst summit, I got the opportunity to spend a few minutes with Meredith Schmidt. 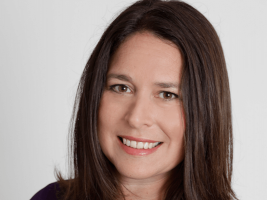 Meredith serves as Executive Vice President & GM of Salesforce Essentials & SMB. Salesforce Essentials consist of the company’s products aimed at the small business market. But something else really caught my attention in that brief conversation. It turns out Essentials runs like its own operating business now. So Salesforce no longer treats it like a traditional product line within the business. And Meredith heads Essentials up as a CEO. To expand on that conversation, Meredith joined me last week. And she shared more about the change in how Salesforce Essentials positions itself within the larger company. What will change? And how does this impact Salesforce’s SMB customers? Meredith also touches on how new technologies like AI and voice interfaces have already begun to affect small businesses. Below check out an edited transcript of our conversation. To see the full interview, watch the video below or listen to the embedded SoundCloud player. Small Business Trends: Salesforce has made you the CEO for their SMB business. Salesforce recently celebrated their 20th anniversary and they really grew up servicing small businesses, but now you specifically are charged for looking after the SMB customers that Salesforce has. Maybe you could give me a little of your personal background before we dig into Salesforce at 20 and what it means particularly for SMBs. Meredith Schmidt: I joined Salesforce 14 years ago, as the first employee in our finance team reporting to our CFO to create a revenue department actually. The job was to make sales love finance. I’m like ‘what does that mean? But I’ll figure that out.’ That’s kind of been the mantra all along is I’ll figure it out. We had about 600 employees, $300 million in revenue and there was a lot of opportunity to fix things I would say. I would hear a problem and go solve it. A lot of those were related to small business. I would say in that time there were things we just never changed that actually were not in my control that kind of just lingered in the back of my head for 14 years about small business. When I joined we were at the cusp of really turning into that enterprise company. We had just signed Cisco as a customer, ADP, but I would say a much smaller portion of our revenue came from enterprise customers back then. Over time I had grown a team 300 people big supporting product and doing new product introduction for our entire company, responsible for sales compensation; so really understanding the go to market and selling strategy across all the segments, as well as the direct and indirect channels. I was responsible for implementing all of our internal technology to enable our sales team as well as our revenue teams. That was my favorite thing, running revenue at this company for 13 years, 13 of the 14 years, to get to $13 billion. So when this [Salesforce Essentials CEO] role became available the more I talked about it the more excited I got. Which was this [small business] is a business unit. This is not just a product. I thought at first what business do I have building product, but I’m like everything I try to do is make things easy and easier to do, and that’s what we had to do with this product; think about small business and think about their needs, and put ourselves in their shoes. The first thing we did was say ‘you want to buy month to month, great. Let’s offer month to month contracts’. Ironically, in my 14 years we had never allowed customers to buy a month to month contract. You always had to buy annually. We changed that. I know it was a long answer to your very short question so I apologize, but that was kind of my road to here.